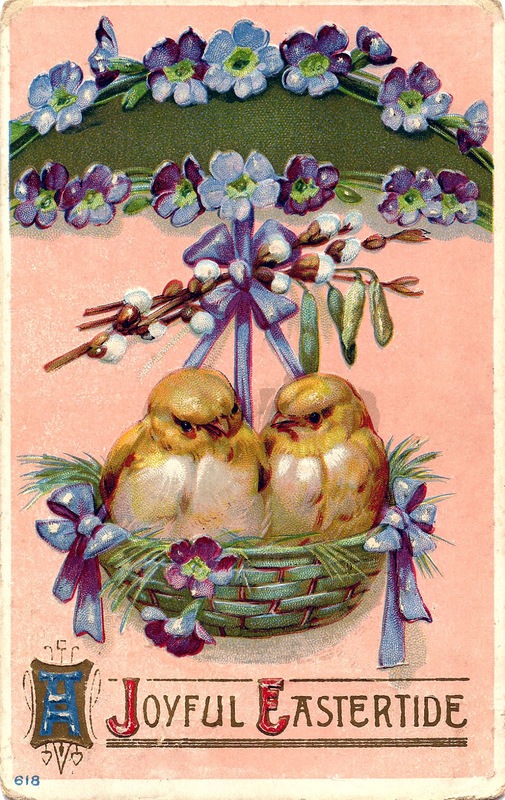 This sweet Victorian postcard shows two darling little Easter chicks, in basket embellished with Violets! A cute Clip Art piece to use in your Easter craft projects. 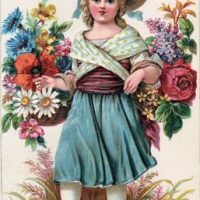 Free Vintage Clip Art – Charming Girl with Flowers Free Vintage Images – Dogwood Flowers – 2 colors Lovely Vintage Floral Vase! Thanks for sharing these great images!